With individual states in the U.S. now embracing online gambling, an interesting side effect is occurring as companies are pulling out of the Canadian market. One of the top online payment processors, Skrill, announced that they are pulling out of the Canadian market with payments stopping on January 2nd. The company announced that all funds in Skrill Canadian accounts must be paid by January 31st. Online gambling has expanded into the United States with Nevada, New Jersey and Delaware offering either online poker or casino games or both. New Jersey is already expecting to collect $300 million to $750 million annually from legal online gaming. That type of money is not going unnoticed to American Indian tribes who currently have 460 casinos in 28 states. American Indian tribes don’t have online gambling but that is expected to change. ISLE OF MAN – Microgaming’s (www.microgaming.co.uk) portfolio of exhilarating casino games sees two new additions in June. ONCHAN, ISLE OF MAN – May 28, 2013 – The PokerStars Spring Championship of Online Poker 2013 has become the richest online poker series ever, after awarding a total of $75,585,435.05 in prize money to players. It surpassed the previous record of $65,332,179, set during SCOOP 2012, by more than $10 million. This year?s SCOOP is also the largest poker festival – online or offline – ever held, with a total of 132 low, medium and high stakes tournaments. MONTREAL, Canada – May 6, 2013 – Amaya Gaming Group Inc. (TSXV: AYA), today announced that Cogetech S.p.A has chosen Amaya’s Ongame Poker to power Izipoker.it, which launched on April 26, 2013. Cogetech is both a leading operator for the Italian land-based market (VLTs and betting) as well as online through its website IZIPlay.it offering betting, poker, skill games, bingo and casino games. 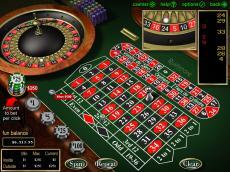 The company also runs since its foundation providing services for New Slot (AWPs) and betting shops. (www.microgaming.co.uk) adds four new HTML5 games to its market-leading mobile portfolio. Popular slots Cashapillar, Alaskan Fishing, Stash of the Titans and Treasure Nile have all been expertly developed in HTML5, and can be played across an extensive range of mobile and tablet devices. All four games are now live with Microgaming operators and performing beyond all expectations. ONCHAN, ISLE OF MAN – April 22, 2013 – The European Poker Tour announced today that there will be an inaugural €1,100 Monaco Cup (event 26) as part of the 50-strong event offering at the PokerStars and Monte-Carlo®Casino European Poker Tour Grand Final. It will have a guaranteed prize pool of €500,000. The newly named event, which will take place from May 11-15, forms part of the spectacular 11-day festival at the PokerStars and Monte-Carlo®Casino European Poker Tour Grand Final, which runs from May 6 -15. ISLE OF MAN – The MPN (www.thempn.eu), formerly known as the Microgaming Poker Network, is pleased to announce the launch of Heads Up 8 Man Blaze on the MPN. ONCHAN, ISLE OF MAN – March 28, 2013 – PokerStars today announced the release of a major new television advertising campaign featuring tennis superstar Rafa Nadal. The television advertisements will air globally in coming weeks, and revolve around Rafa Nadal competing online at PokerStars against a fictional character representing one of their 50 million players. The campaign captures the essence of poker as a mind sport – a battle of wits that anyone can enter, and where your opponent might be Rafa Nadal, or any of the other sporting superstars that regularly play on PokerStars.